My new cookbook is full of recipes for stuff that is quite simply delicious, and that I cook for my family and friends. It's a wee bit different from my first book in that the dishes are fresher, lighter, healthier... Well, that was the idea. I then suggested all those naughty, over-the-top dishes that I also love. These had to go into a sealed section because, like a Bangkok nightclub act, they are just a little too full-on for the delicate stomachs of some, and for the good of your health. That section is sealed for your own safety. Please resist opening it if you are a helpless slave to your passions. In short, this book is like me. It starts out with REALLY GOOD intentions for a while until it is overwhelmed by temptation and then, quite frankly, once self-control is gone it turns into a bit of an orgiastic free-for-all. Good times! Welcome to the Pleasure Dome, my friends, please grab a fork. Matt Preston. Matt Preston is one Australia's most loved TV presenters and food writers. He is known for his role on MasterChef Australia, as well as numerous other ongoing media appearances, and his recipes have been featured for a decade in delicious magazine and News Ltd's national Taste liftout. 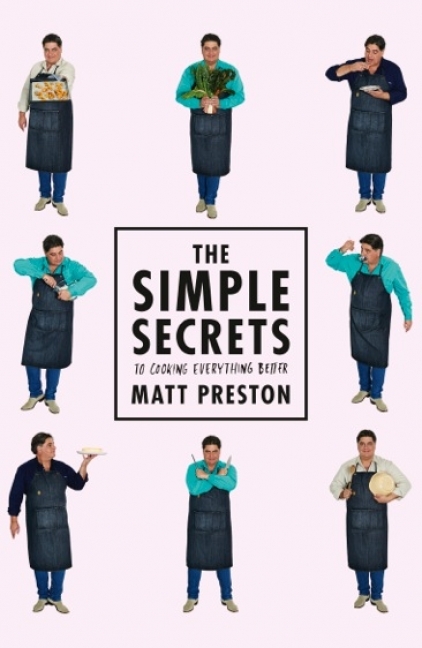 Matt's first book, Matt Preston's 100 Best Recipes was a runaway success in 2012.